Fancy having a floating dinner on one of the world’s most iconic ships? The Queen’s Grill is a fine-dining British restaurant that was frequented by the Queen! Aside from their regular and vegetarian menus, the restaurant also has a special tasting menu offering some of the exact same dishes that were served back in 1969. It’s always sunny in Dubai, but that’s not going to stop them from making it snow. One of the top tourist attractions in Dubai is Ski Dubai – a man-made indoor ski slope, which is inside a shopping mall! Whether you want to hang out with penguins, roll down ski slopes in Zorb balls, zipline, snow board or actually ski, Ski Dubai is a must-visit. Want to enjoy the best views of JBR and Dubai Marina? Flying Cup in JBR is a circular open-air bar that will lift you 40 metres up in to the sky! Don’t forget your selfie sticks – this is one of the coolest activities in Dubai, and it will be one to remember. Looking for fun indoor attractions in Dubai to try this summer? Group up into teams and get ready to solve a variety of crazy challenges at TEPFactor! Similar to Crystal Maze game show, you’ll need to complete all the challenges to find the treasure chest. Ever tried dining in the dark? Noire Dubai is definitely an experience for your Dubai bucket lists. You’ll need to part with your phones while you dine, so that there are no distractions or light. Without your sense of sight, your other senses will be heightened as you taste (and try to guess) the food that is served to you. 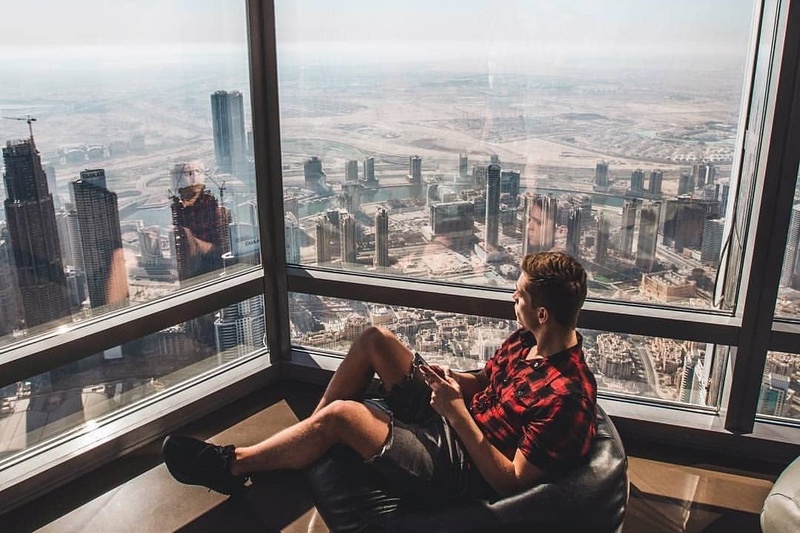 You cannot leave Dubai without going to At The Top and seeing Dubai from the highest observation deck in the world! The best time to go is during sunset – it’s a little bit more expensive, but definitely worth it for the ‘gram. Think you can muster up the courage to fly Superman-style across the Dubai Marina skyscrapers?! If our Editor-in-Chief, who’s pretty afraid of heights, can take on the XLine, so can you! #onlyinDubai would you find a pizza topped with 24-karat gold – which is exactly why you can’t leave the city without trying it! At 24 Karat (yep, that’s the restaurant’s name), you can get gold added to almost every dish on the menu. Because who in the world doesn’t love Narcos? Anyone who has watched this Netflix TV show, as well as those who haven’t, will love this new Pablo Escobar escape game at Braingame Dubai. Read more: For more fun Dubai experiences or things to do in Dubai, check out our Explore section..